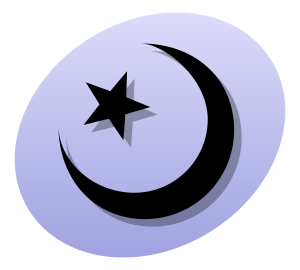 APOLOGETICA » Blog Archive » -Losing the War of Ideas to Radical Islam? -Losing the War of Ideas to Radical Islam? Mr. Sanders puts forth the idea that the West is substantially losing the ‘war of ideas’ among Muslims to radical Islam even if the shooting war in Iraq and Afghanistan seems to be somewhat successful. The Muslim world is growing at an exponential rate and the young Muslims coming of age are far more radical than their parents and have very little patience for the current corrupt rulers and governments where they live. Tunisia is just the first domino to fall with more chaos probably on the horizon. Also, young Muslims in Western countries are far more ‘religious’ and radical than their parents. Young European Muslims are substantially poor and have a hard time finding work so are dependent on the state. Also they have not assimilated into the European cultures and live primarily in self made ghettos that are becoming hotbeds of radicalism and rebellion. The hopes of Western intellectuals that Islam will go through some kind of ‘reformation’ like Christianity and come out the other end far more ‘moderate’ is nothing more than a wishful dream. The fact is that Islam is in the midst of a revival all right- a radical fundamentalist one which started with Iran. Islam already went through a moderate phase in the 20th century and now the younger generation is reacting against it in the 21th. 3 Responses to -Losing the War of Ideas to Radical Islam? Yet one more very helpful piece of writing with http://apologetica.us/2011/01/20/losing-the-war-of-ideas-to-radical-islam. I have been looking at your site for quite a while at this stage and I notice that you were really heading all the way up within the serp’s which makes me personally pleased.